Within Teamwork Projects, you can choose to export an invoice in a project to a Xero compatible file. To do this, go to the Billing area of your project. Select the invoice you wish to export from the left. Note: You can choose to export both open and completed invoices. 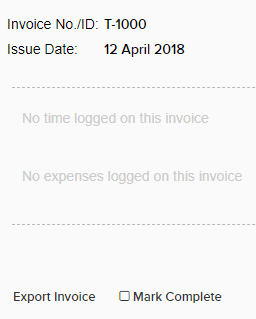 In the bottom left of the invoice itself, click Export Invoice. In the export modal, select Export to Xero file. Enter the customer name that will be used as a contact in Xero. You can also specify a date format and tax type here. Click Generate File to download the file. 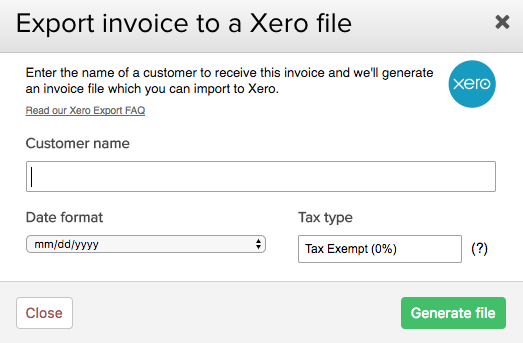 Once your Xero compatible file is downloaded, head over to your Xero account to import the invoice. Xero also have some further information on invoice imports here.